Entity Purchase Agreement is a type of Buy-Sell Agreement wherein each owner agrees to sell their share of the business back to the company at his/her death. The business purchases life insurance equal to each of the owners interests. If an owner dies or becomes disabled, the proceeds from the life insurance would be used to pay his share of the company to his estate. Once this happens, the business would own the deceased owners share, which could be divided and distributed among the remaining owners. Any business with more than 2 partners or owners. Running a business with several owners can be an easy path to growth and stability. With increased capital and resources, these business types can achieve success in a shorter span of time. However, with more parties involved, the business’ stability also relies on more than one owner. The company can be paralyzed, or at least slowed down when one of the owners become incapacitated, or deceased. In this type of Buy-Sell Agreement, the business purchases a life Insurance policy for each owner. If the business has a lower tax-bracket than the individuals, there is greater tax leverage. At the owner’s death, the redemption agreement affects only the business and the deceased owner’s estate. Having an Entity Purchase Agreement makes it easier for all the parties involved to secure the future of the business while securing their estate. 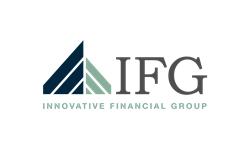 Ensuring a properly funded Entity Purchase agreement can help you answer, “How well are you planned and how can you tell?” Call Innovative Financial Group for a complimentary conversation to ensure what you care about is protected now and into the future.